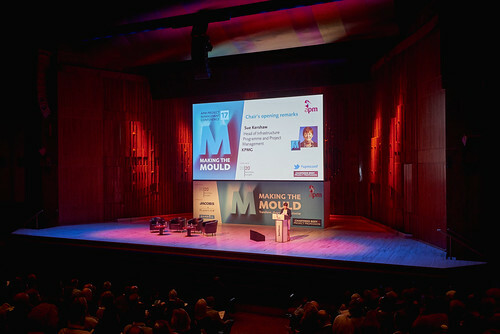 APM, the chartered body for the project profession, held it's award-winning Project Management Conference, sponsored by 20|20 Business Insight on 27 April 2017 at the Barbican, London. The APM conference has a long-held reputation for bringing together the world’s most influential and thought-provoking speakers from your profession and it certainly lived up to that reputation on the day. The world is in a constant state of accelerating change. The ways we embrace and manage that change must constantly evolve to meet new demands. Building a world-class profession in a constantly changing world means challenging norms and thinking, breaking and then re-making the mould, reinventing project management for a new generation. To view speaker presentations and video interviews from the day, please go to the speakers' page. We deliver accredited training courses for every level of project personnel. At Jacobs, our focus on building long-term client relationships has helped us become one of the largest and most diverse companies in our industry. Planview enables organisations to get the most out of their resources and achieve their goals. Ramboll is a leading project-based engineering, design and consultancy company, with 13,000 multidisciplinary professionals working across eight markets in more than 300 offices and 35 countries. Take a look at what happened in 2016.